The 12 days group tour journey has the highlights of traveling to Authentic Tibetan monasteries including Samye monastery, Ralung monastery, Sakya monastery, and Ganden monastery. 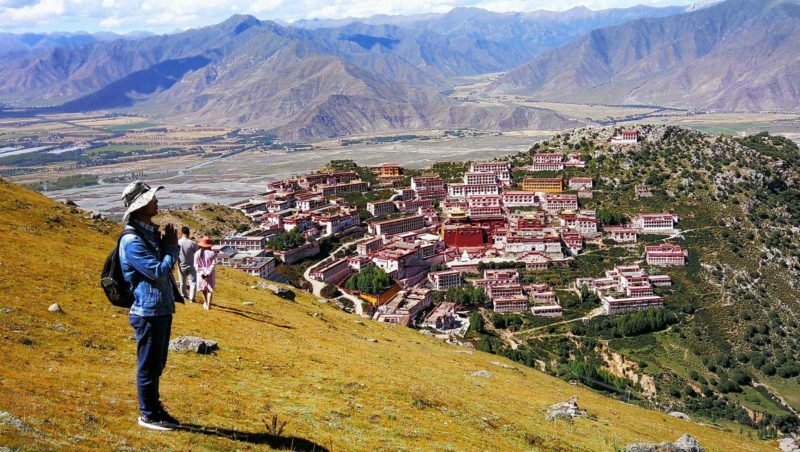 This fantastic tour allows Travelers to visit the beauties of all the four different schools of Buddhism in Tibet. Samye monastery is the first monastery in Tibet from Nyingma School. Ralung monastery was once the largest monastery in Tibet from Kagyu school with authentic old buildings. Sakya monastery is the largest Sakya school monastery, and Ganden monastery is one of the main monasteries of Gelukpa school. The tour also has the highlight of traveling to Mount Everest north face base camp and the stunning Yamdrok Lake. The tour also includes 1-2 hours hiking at few meditation caves from 7th century including Drak Yerba meditation caves, upper Rongbuk monastery meditation caves of Maha Guru Rinpoche and Chimpuk meditation caves. 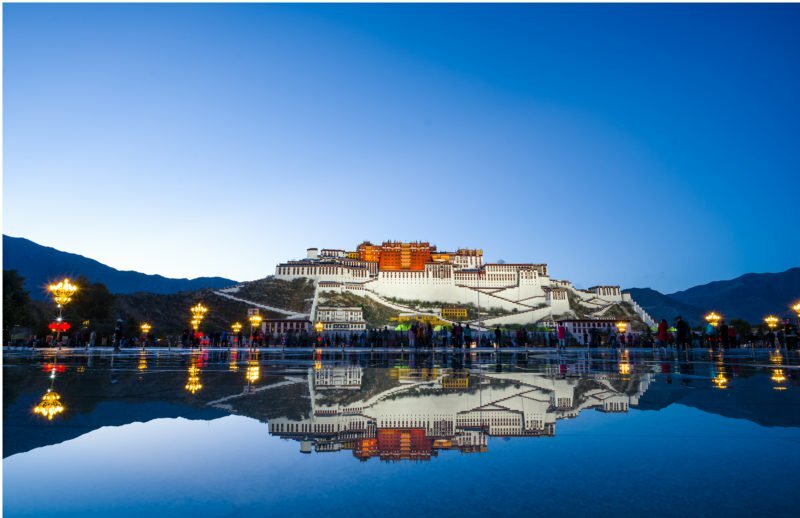 The journey includes the beauties of Lhasa city with many main Buddhist sites in the town including Jokhang Temple, Bhakor street, summer Palace of Dalai Lama Norbulingka Palace, Sera Monastery, and the Winter Palace of Dalai Lama Potala Palace. You will also be able to explore the Old Town of Lhasa. Next, you will make the scenic drive to Shigatse going via Yamdrok Lake, Karo La Glacier, and the Gyantse Kumbum Stupa. From Shigatse, you will visit Sakya monastery on the way to the North Face Base Camp of Mt. Everest where if the weather is clear, Travelers can witness the beauties of sunset, sunrise, and stars in the night at world’s highest peak! A fantastic journey that will allow you to see many of the best places Tibet has to offer! If four people book this tour together, we will offer a discount of 400 US Dollar per person. If three people book this tour together, we will offer a discount of 300 US Dollar per person. Below price is two people shared one room. If Travelers prefer to have a separate room, the cost is 300 US Dollar extra. 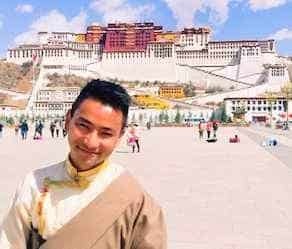 Upon your arrival at Lhasa airport or train station, you will be greeted by your Tibetan guide, from the airport to Lhasa city is 60km, around an hour drive will take you to the holy Lhasa. Driving along the Brahmaputra river and Lhasa river. If you take the train to Lhasa, 20 minutes drive will take you to your hotel in Lhasa city. If you take the flight, 1 hour and 20 minutes drive from Gongkar airport to Lhasa. Check into the hotel, have a good rest to acclimatize the high altitude. After breakfast, you will visit the Jokhang, the holiest Buddhist temple in all of the Himalaya. Each day, many thousands of Buddhist pilgrims come here to worship. Many have traveled well over a thousand kilometers by foot to see this 1400-year-old temple. After lunch, you will visit the 600-year-old huge monastery complex of Sera. While at Sera, you watch the monks engage in entertaining Buddhist philosophical debates. In the evening, you will have free time to wander around the Old Town on your own. Today you will start your day by visiting the massive 1000 room Potala Palace, the most iconic building in Tibet. You will work your way up the steps of the Potala and then go through the most important rooms in this famous UNESCO site. After lunch, you will explore the beauties of the summer palace of Dalai Lama ( Norbulingka Palace ) after visiting many monasteries, its a great option to visit summer palace where Travelers can visit more than three palaces. In the late afternoon and evening, you will have free time to explore Lhasa on your own. Travel from Lhasa to Kampala pass [4794m], you will have a glimpse of Yamdrok-Tso and spectacular views of Holy Mount Nyenchen Khangsar in the distance. The turquoise colored Lake Yamdrok Yutso is one of the three holy lakes in Tibet. The unforgettable vista of pincer-shaped turquoise water of the lake and fantastic spectacle of Mt. Nyenchen Khangsar glacier from Karo la pass is where we will do a short hike to the opposite of Nyenchen Khangsar to visit a small lake and the mountain. We travel to the Ralung monastery, which was once the biggest Buddhist college in Tibet and home of many great Tibetan Yogis from Drukpa Kagyu sect including Jetsun Ling Repa, Jetsun Tsangpa Gyare, Jetsun Tsang Nyon, Jetun U Nyon, Jetsun Drukpa Kunley. They are no tourist and sometimes not even locals, so Ralung monastery is one of the most peaceful monasteries with beautiful landscape. Then along the Friendship southern Hwy drive to Gyantse. Visit the famous stupa - Gyantse Kumbum, one of the most stunning architectural wonders in Tibet and visit the Palkor chode monastery. Gyantse is one of the beautiful Tibet towns with more local Tibetans. Travel from Gyantse to Shigatse in a duration of 90km. On the way visit the Shalu monastery for beautiful old wall paintings. After arriving in Shigatse, check in at the hotel and visit the Tashilhunpo monastery. In the morning drive to Sakya and visit Sakya monastery on the way then drive to Pelber across Tsou-la Pass (4500m) and Gyatso-la Pass (5220m), with good weather you can see your first views of Mount Everest. At the end of the day’s 230km journey, we arrive in the evening at Pelber (New Tingri) (4300m). This day will take you from Shigatse to Tibet’s North Face Everest Base Camp. Along the way, you will be passing through several small Tibetan farming villages that you will be able to photograph. You will cross over the 5248 meters high Gyatso La Pass, which offers a sweeping view of the rolling Himalaya Mountains. You will continue on to the Everest Region crossing over another high pass. This pass, the Geu La, offers a panoramic view of the glacier-covered Himalaya. 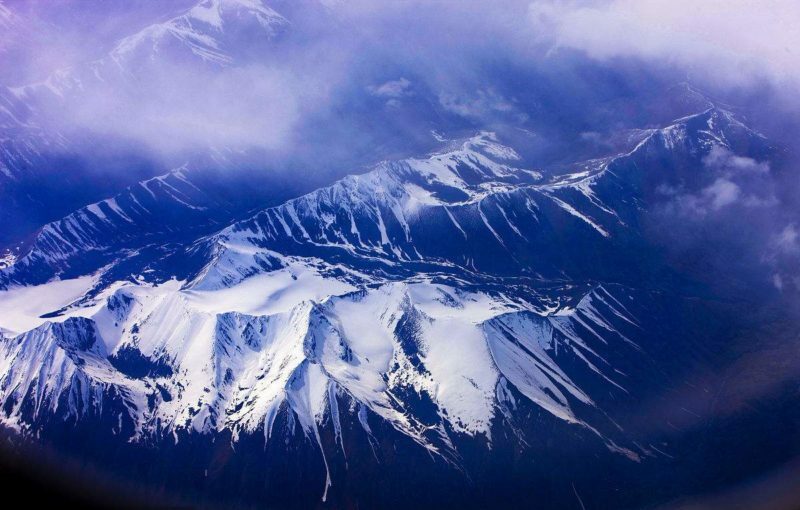 From here, you can see 5 of the world’s 15 highest peaks, including Everest. From the Geu La, you will then go to Rongphu, the highest monastery in the world at just under 5000 meters in elevation. The iconic view of Everest from here will be a high point of your journey! After breakfast, see the sunrise at Everest Base Camp then drive to Shigatse through the same route from Geu la pass with the last view of Himalaya range, stop at any point if you find interest. The duration of the tour is 340km. We will stay overnight at Shigatse. After breakfast, we will travel from northern friendship highway via seeing the view of Yarlung Tsangpo Brahmaputra river through Rinpung town. We have started the tour to Shigatse via Lhasa from Southern friendship highway from Gyantse, today we will travel back through northern friendship highway. After arriving in Samye monastery, we will spend a night in the Guesthouse. Samye monastery is the first monastery in Tibet built during the 8th century. The monastery influences India, China, Nepal, and Tibet. In the morning visit Samye monastery and drive to Yemalung meditation cave and hike up to the monastery. Yemalung is the meditation caves of great Tibetan masters since the 8th century. Today we start the day traveling to Ganden monastery, the most important monastery in the Gelugpa school of Tibetan Buddhism. The highlight will be the 1-2 hours hike from the back side of the mountain to see the whole Ganden valley. Since there is only vehicle trip on most of the tours so to make the tour special, arranging the hiking tour is one of Tibet Travelers specialty for the Travelers. The hiking route is also known as pilgrim kora route for the local Tibetans. Very few Travelers can be seen so its special. We will also visit the tomb of Tsongkapa and the Throne of Ganden, the Great Hall of Ganden Monastery, and Ganden Tsogchen, where monks perform prayers. In the afternoon, in the after we visit the 7th Century meditation caves of the previous great master in DrakYerpa, we will also do meditation in the great master's meditation caves. We will also have a 1-2 hours hike to the meditation cave to see the beauties of Yerpa valley. Later we will drive to Lhasa through the high pass Nachen la pass near Lhasa. Morning Lhasa airport or train station dropping off, the time comes to say your farewells to your guide and driver, end of the tour Tibet. Thank you for loving Tibet Beauties! Thank you for choosing Tibet Travelers! We look forward to seeing you once again in Tibet. 80 queries in 0.258 seconds.